I am installing a steel wall in ground pool and have a couple of plumbing questions. Are 2 - 45 degree fittings better than 1 - 90 degree fitting or does it matter. Pictures show my intentions. I have not yet glued the connections. 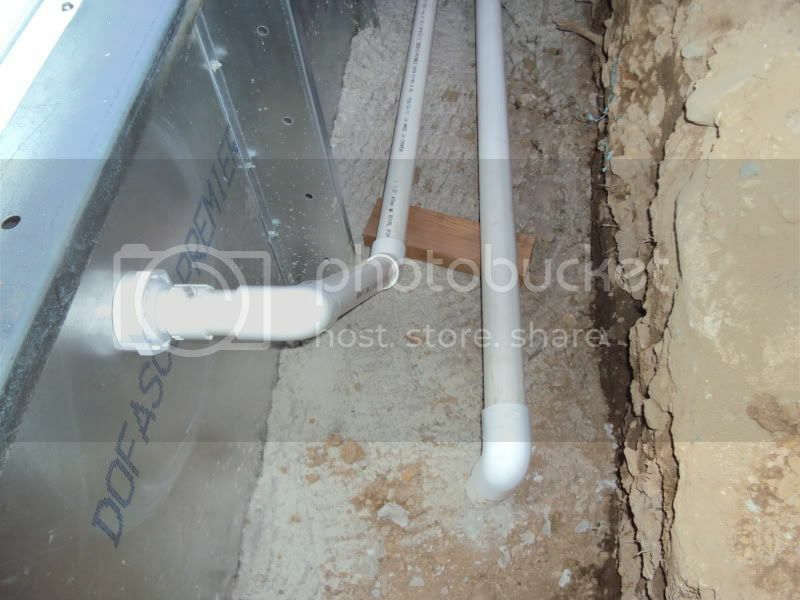 Does anyone have a picture of their plumbing before back filling. For practical purposes, using two 45s to make a 90 does not make a difference except it's a pair of extra glue joints. I think two 45 joined to form a 90 would give less resistance as the angle is not as sharp more curved but it probably would be much unless you had a of of 90 in your plumbing . Yes, sweeping curves are better than sharp corners, just make sure you have pressure type PVC fittings not the shorter glue joint drain DWV type fittings (45's are a lot more common in dwv). I had to jackhammer up the concrete at the corner of my pool earlier this year because someone used a DWV elbow fitting on the return line (it lasted for 30 years almost to the week before blowing out). Mas985 has done the math but I can remember that he has said many times that 2-45's simply aren't worth it. Use the 90's. If you would liketo reduce the resistance in your system AND make a better pool, I would suggest purchasing a filter that's a little larger than normal.....around 125% or so of your pumps gpm. That'll more than make up for all the resistance within the 90's and give you a better system to boot. An isolated 45 has a little less than half the head loss of a 90. However, if you put two back to back it can actually be more than a 90 because of the interaction between the fittings and the fact that you have twice the glue joints. So given the uncertainty as to how it would actually work in a real installation, I generally do not recommend back to back 45's or at best indifferent. They take up more room too. As for swept 90s, if you have a lot of 90s it may be worth it but I remember seeing a pad with nearly all swept 90s and it was a real mess. They take up a lot of room so the lay out tends to be really messy. Underground would be fine though. My usual recommendation is that upsizing the pipe diameter is a far better choice than dealing with special fittings. Just use the fitting that gives you the tightest group! That retun line on an angle isnt a great idea... didnt read everyones post so that may have already been said. 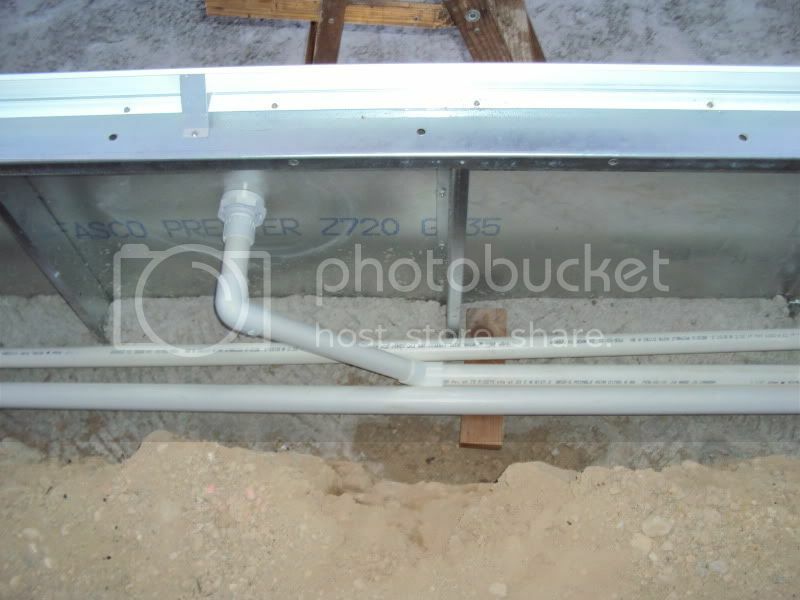 But once you back fill, the dirt may "push" on that pipe and cause major problems. I would come out of the pool wall a few inches, into a 90, then straight down to the ground.